Book an economic private taxi or bus from Malaga airport to Gibraltar with our transfer services filling in the form on the top. Distance from Malaga: 130 km. Time to reach: 1 h and 40 min. 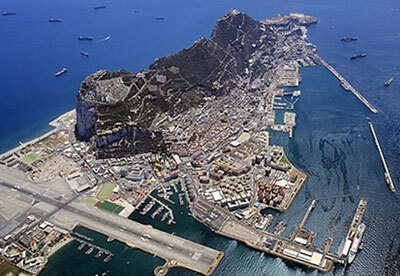 Height of the rock: 426 m.
When we reach the southern border of La Linea de la Concepcion (Cadiz), we’ll come across this British territory, known as the Gibraltar rock. After crossing its border, ‘La Verja’ (the gate) as it was popularly known in Spain, we’ll enter a destination located to the south of Andalusia even though it has nothing to do with this region. Gibraltar is an ancient colony that belongs to the United Kingdom, and in 1969 it changed its status to Overseas British Territory. 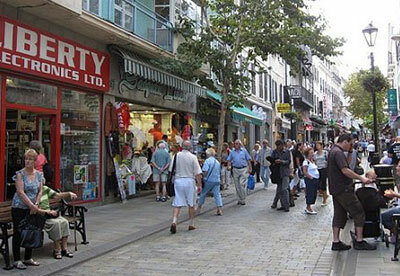 Going shopping in Gibraltar tends to be quite an attractive option for the visitors, and the best way to do so is by crossing the whole pedestrian Main Street where all the shops are located, famous for its prices and exclusive products. This main street also has plenty of side streets where we’ll find even more shops of all kinds that are run by Brits, from electronic gadgets to jewellery, establishments that sell tobacco, bars, cafes, restaurants, etc. Take a nice walk around: Reina Sofia Municipal Park, Gibraltar promenade, a stroll around the port which is defended by cannons, Trafalgar cemetery or around the botanical gardens. Take your lunch in Casemates Square, here you will see the impressive Koehler cannon, and we recommend crossing the square called La Piazza. 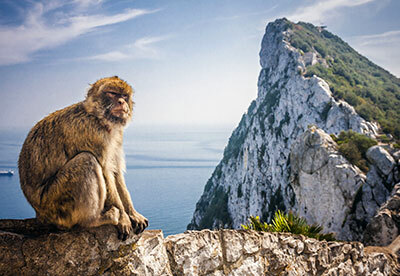 Going up the Rock of Gibraltar, is a mandatory activity if you travel to this territory. Enjoy the view, of the nature and of the monkeys living wild within this natural landscape. Precaution: We discourage feeding the apes. Access tunnels built during the Second World War or the Great Siege Tunnels. Entering the Cave of San Miguel. Wonderful beach days in Gibraltar, especially seeing the seaside area of Rosia Bay will surprise you pleasantly; also EconomyTransfer recommends trips to admire dolphins and whales that swim by the proximity of the Strait. The most relevant viewpoint from this English territory is Europe point where Spain ends and you can visualize clearly the coast of Africa. There are also religious sites, such as: the curious Ibrahim-al-Ibrahim Mosque, the Arab castle and the next churches: Cathedral of St. Mary the Crowned, The King’s Chapel and one convent situated near the Main Street, or finally the Anglican Cathedral Holy Trinity. In addition to its shops in the Main Street, you have a mall called Ocean Village perfect to continue shopping. 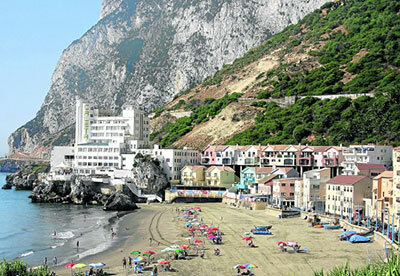 EconomyTransfer facilitates the arrival to Gibraltar from Malaga thanks to the excursions and daytrips, especially useful and attractive when there are large groups of people interested in visiting the destination. Click here to contact us and request further information.